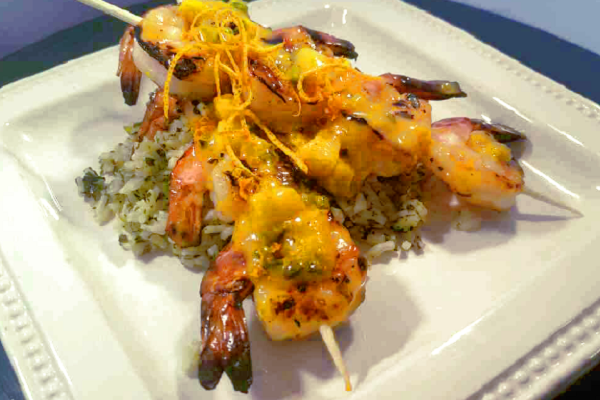 Honey glazed shrimp grilled and served alongside a mango orange dipping sauce paired with a classic green rice - a combination of tomatillos, cilantro, parsley, spinach and rice. Shrimp: Preheat Grill. 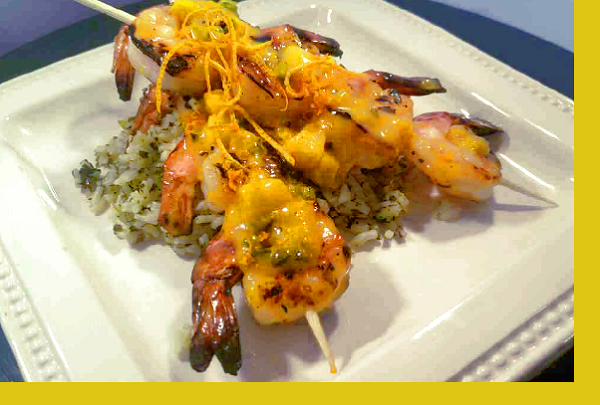 Grill shrimp on HIGH heat for about 3 mins per side until cooked through – typically the shrimp will look like the letter C. Mango Orance Sauce: Microwave sauce in 15 second intervals, stirring regularly until warm. Don't overheat or sauce will break. Green Rice: Reheat and serve.